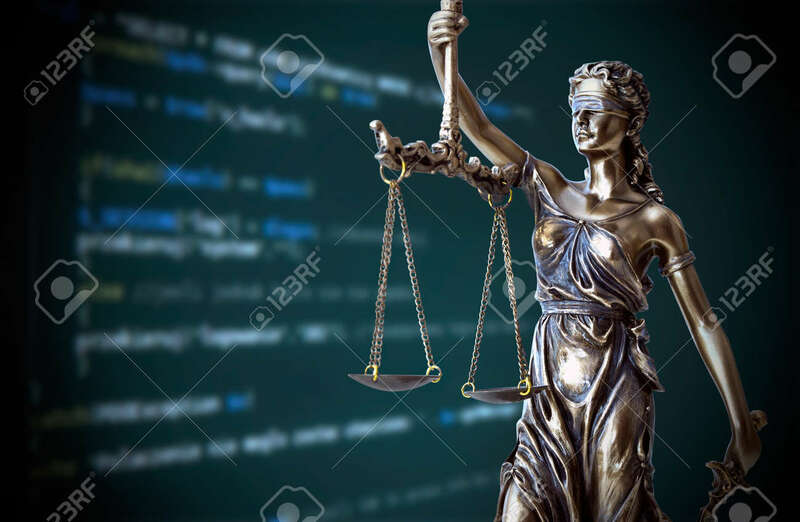 Justice Statue With Code On Screen In Background. Internet Crime Concept Zdjęcia Royalty Free, Obrazki, Obrazy Oraz Fotografia Seryjna. Image 51202806.